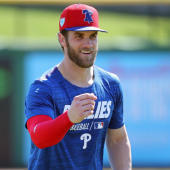 Nelson (shoulder) is set to make his Cactus League debut Monday against the White Sox, Adam McCalvy of MLB.com reports. Nelson had a successful two-inning appearance during an intrasquad game Thursday, clearing the way for his return to spring action. The 29-year-old missed the entirety of 2018 following shoulder surgery, so appearing in a Cactus League game is a big step toward his regular-season availability.